Besides my work for Loevestein Castle I write books. For children I write fiction and non- fiction, for adults only non-fiction. Till now my books are only published in Dutch. 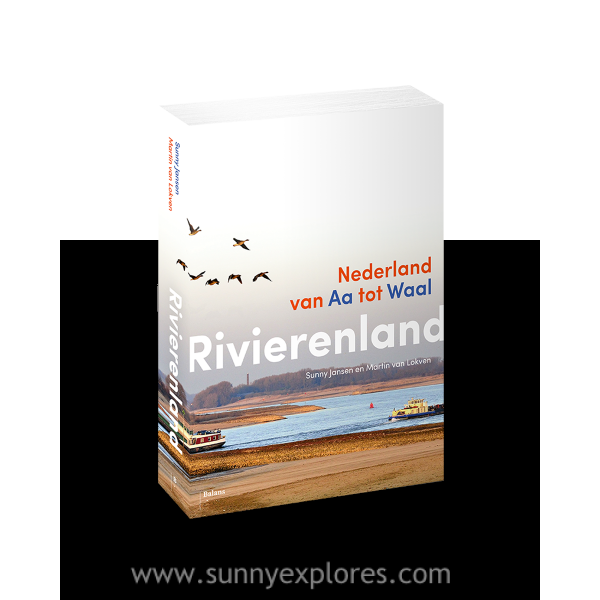 My last book is ‘Netherlands – Land of rivers ‘, a book for publishing house Balans. Together with photographer Martin van Lokven I strolled down the Dutch rivers in search of stories. ‘Netherlands – Land of rivers ‘ shows the dynamics of the Dutch rivers. Rivers are major economic arteries but also vital ecosystems. Water safety and environmental quality are at the top of the political agenda for many years now. The power of the Netherlands as land of rivers is the combination of water, nature, culture and human activities. In the past and in the future rivers had and will have a defining role in terms of quality of life the Netherlands. In this book, social developments and natural processes are presented in an accessible way. Living with rivers and the perception of the landscape are the central theme. There is plenty of attention for the green aspect: geology, landscape history, biodiversity and nature. Of course the rich cultural history also gets attention, the visible and the vanished past, above and below the ground. But above all this book tells the story of rivers and people living with and fighting the water.